Ready to move in! 12 Total Luxury Condo/Homes and ONLY 3 REMAIN! 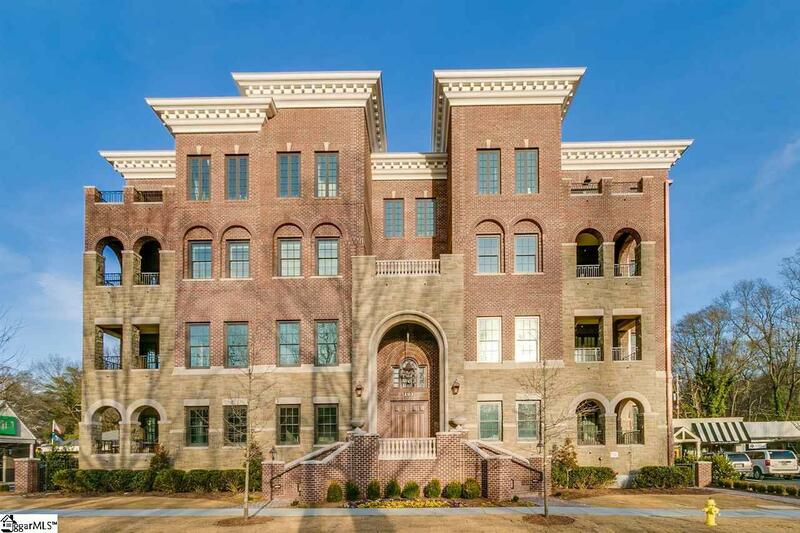 These are all one level and conveniently located 3 blocks from the Liberty Bridge and Downtown and a block from Cleveland Park and Swamp Rabbit Trail. Built with concrete and steel the best quality! Blend of Federal and Italianate Revival Architecture that makes the building that is brand new feel like it has been there for 200 years. Wonderful secured parking garage and overflow parking in the rear for visitors. Beautiful hand scraped hardwood floors, 10 ceilings, vented gas fireplace with gas logs. Private covered terraces with hose bib, floor drain and gas hook up for gas grills. Top of the line appliances including gas cook top, dishwasher, convection oven, microwave and refrigerator. 2014 taxes reflect old use of building will be adjusted. Terrace is 151 sq. ft.